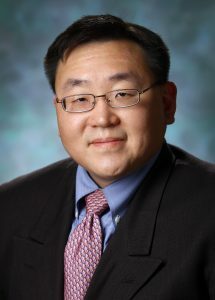 Physician Editor Philip Seo, MD, MHS, is associate professor of medicine in the Division of Rheumatology at the Johns Hopkins University School of Medicine. He also serves as director of the Johns Hopkins Vasculitis Center and the Johns Hopkins Rheumatology Fellowship Training Program. He has worked at Johns Hopkins in a variety of roles, including as an intern, resident, hospitalist, assistant chief of service and rheumatology fellow, prior to joining the faculty. In addition to serving as the physician editor of The Rheumatologist, he is a member of the American College of Rheumatology’s Annual Meeting Planning Committee and Committee on Training and Workforce, and is co-chair of the In-Training Examination Subcommittee. Editor Keri Losavio has been a professional editor and writer in the medical and financial fields for 20 years and joined the Wiley team in February 2014. She has written for and edited magazines, newsletters, textbooks, personal memoirs, dissertations and more. Paul A. Monach, MD, PhD, is a rheumatologist at Brigham and Women’s Hospital and the VA Boston Healthcare System, where he is the section chief. He specializes in clinical care and clinical research in vasculitis. His research interests in vasculitis include clinical trials, biomarker discovery and genetics, through membership in international consortia. At the VA, his current research is in pain management. Victoria Ruffing, RN-BC, is the director of patient education at the Johns Hopkins Arthritis Center and adjunct faculty at the Johns Hopkins School of Nursing. She has been a member of the ARP since 2000. She was a founder of the Rheumatology Nurses Society and served as a past president. She was an editor of the Core Curriculum for Rheumatology Nursing (2015) and section and chapter editor for the Lippincott Manual of Nursing Practice (2014, 2018). Ms. Ruffing’s patient education ranges from self-injection techniques to biologic safety. The Rheumatologist also boasts a freelance writing staff of more than 15 medical journalists, who have years of experience covering healthcare issues.